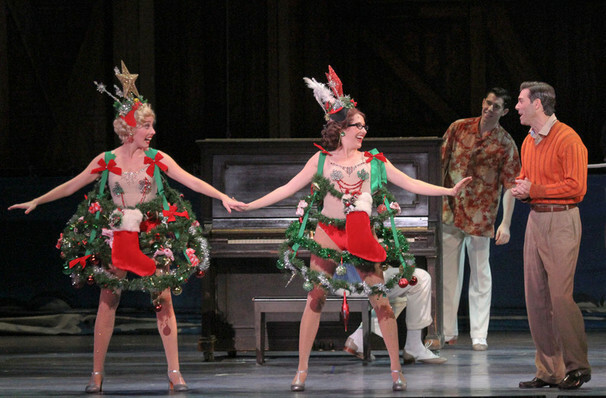 Why See Irving Berlin's White Christmas? The uplifting story and beloved songs of Bing Crosby' movie White Christmas have been enjoyed by families for generations. Now, you can continue the timeless tradition with your family at this glorious and exciting live production! 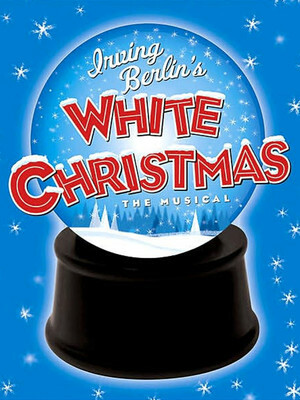 WHAT IS White Christmas ABOUT? A stage adaptation of the classic film, Irving Berlin's White Christmas tells the story of two showbiz buddies, formerly old war comrades, who are tasked with staging a winter pageant in a picturesque but struggling Vermont inn owned by their old commanding officer - and find their perfect matches in the bargain. Will they be able to pull off the ultimate Christmas miracle and save the show? Well yeah, but in this case the fun is in following them on their marvellous, adventure-filled journey! 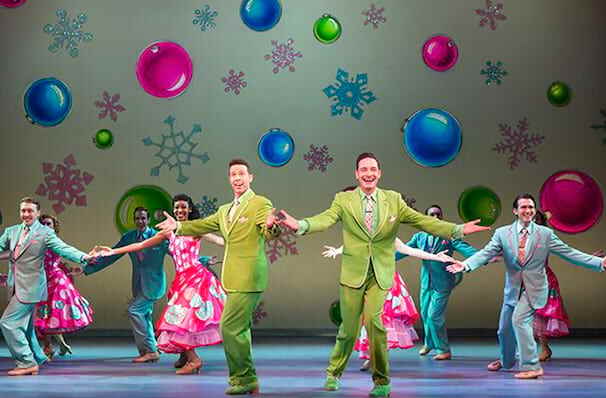 Irving Berlin's White Christmas is a merry and bright Broadway experience full of dancing, laughter and some of the greatest songs ever written including Blue Skies, I Love A Piano, How Deep Is The Ocean and the iconic favorite White Christmas. Seriously recommended if you are lacking the holiday spirit, this should restore you faster than a pumpkin-spiced latte. 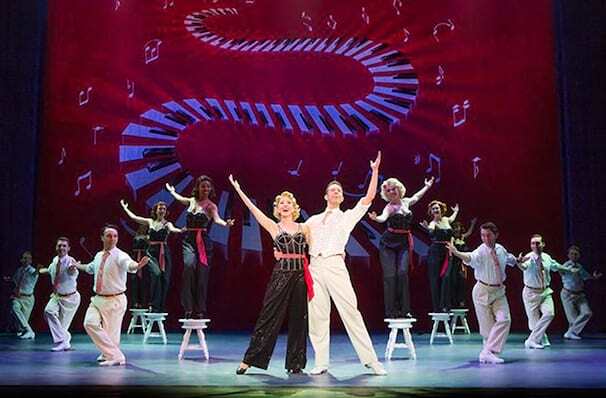 Despite initial mixed reviews of the 2009 revival, it beat expectations and was nominated for two Tony Award nominations, for Best Choreography and Best Orchestrations. Suitable for the whole family to enjoy together! Ensemble: Kelly Black, Stephanie Brooks, Darien Crago, Laurie Difilippo, Sarah Fagan, Drew Humphrey, Bryan Thomas Hunt, Matthew J. Kilgore, Brianna Latrash, Ann-Ngaire Martin, Danny Mchugh, Chris McNiff, Bryan Charles Moore, Kristyn Pope, Sean Quinn and Chelsea Williams. Sound good to you? 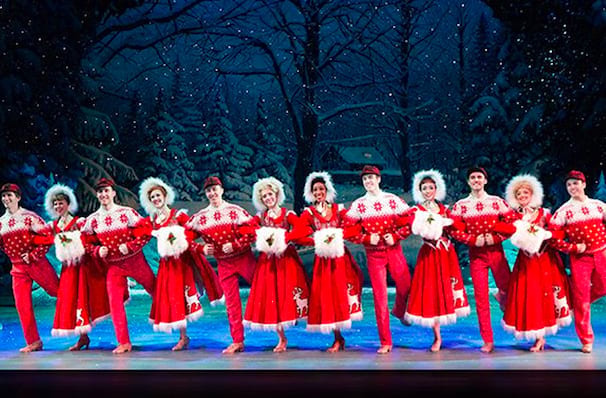 Share this page on social media and let your friends know about Irving Berlin's White Christmas at Durham Performing Arts Center. Please note: The term Durham Performing Arts Center and/or Irving Berlin's White Christmas as well as all associated graphics, logos, and/or other trademarks, tradenames or copyrights are the property of the Durham Performing Arts Center and/or Irving Berlin's White Christmas and are used herein for factual descriptive purposes only. We are in no way associated with or authorized by the Durham Performing Arts Center and/or Irving Berlin's White Christmas and neither that entity nor any of its affiliates have licensed or endorsed us to sell tickets, goods and or services in conjunction with their events.